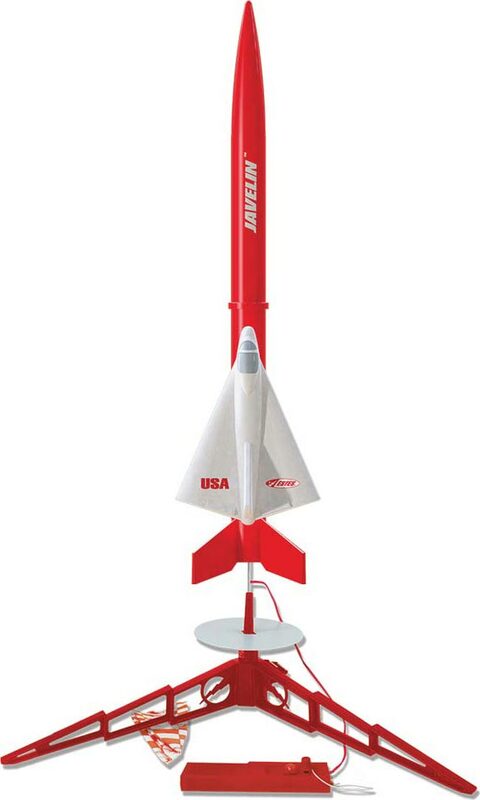 Javelin is an E2X (Easy to Assemble) is a rocket designed with beginners in mind. With all pre-colored rocket parts and easily applied self-stick decals, you're ready for liftoff in minutes. With nothing more needed than tube type plastic cement or CA for this launch set, you can be on the flying field in no time at all. This Deluxe starter set features an Electron Beam Launch Controller and Porta-Pad II Launch Pad. We included batteries, glue, wadding and a pack of motors for an All-in package.